We are all the Italian Street Photo Festival pool! Great satisfaction in presenting the national and international pool of the first edition of the ISPF that will take place in Rome on April 13-14-15, 2018. 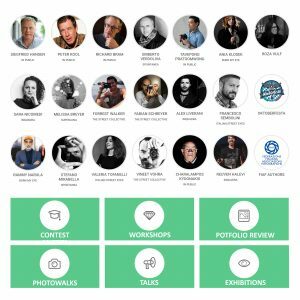 Guests of the main collectives in the world, Italians and foreigners for workshops, talks, photowalks, portfolio reviews and much more!